Notes: 2 patterns in 1, Madeline and Annika - Available as single page pattern or kit. Note: The Mini-Pendant Bag is also available as a kit. Call 877-467-0382 for details. 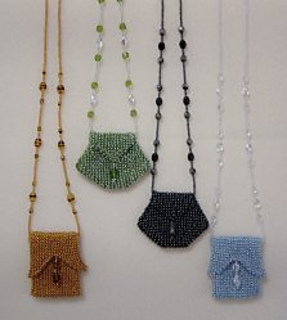 Kits include pattern, perle cotton, seed beads, and accent beads. Kit refills are also available but do not include the pattern. 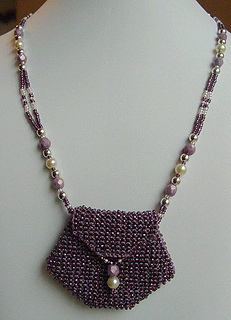 US 0000 (4/0)/1.25 cm needles not included but can be ordered.